Our client, a roofing materials manufacturer, saw a big opportunity to repurpose their underlayment product. Time was running out for mattress manufacturers to meet new flame-resistance standards for bedding. 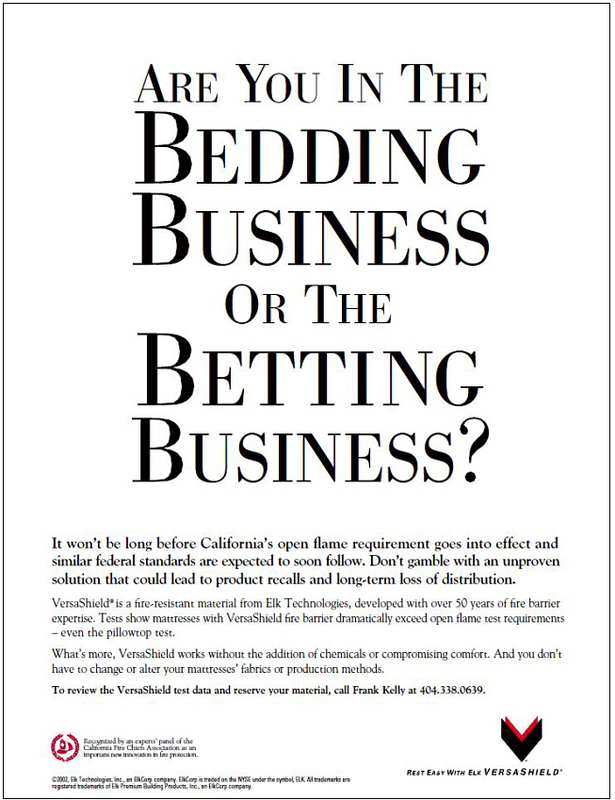 We were charged with creating an ad that would generate inquiries about VersaShield. We received a standing ovation when we presented this ad to the client.